I’ve always been aware that I was a little bit deaf. I wasn’t like people who have a ‘bad ear’, a side where you have to yell at them to be heard. My deafness was a bit more unusual. It only happened in nightclubs. Or bars. Going to college in Ireland, I could not understand why my classmates always wanted to go to places with loud music playing to have actual conversations. Were they kidding? How could they hear ANYTHING with loud music in the background drowning out every word that was said. At first, I went along with it. But my conversational palette was a bit limited. It got so tiring, I just gave up and socialized only in quieter settings. But it puzzled me how I could sometimes be so deaf, when I could hear a cockroach walking across the floor in the next room in the middle of the night. 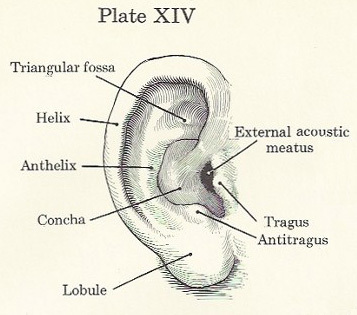 It wasn’t until I read “Amalgam Illness” by Andrew Cutler that I understood that my particular brand of deafness is something specific to mercury. It’s not about the ears per se, it’s more about the brain’s diminished ability to process and understand speech. When I learned about this, I wondered if decades of deafness would be wiped away by chelation. But honestly, I didn’t hold out much hope. It’s a strange and beautiful experience, when chelation comes along and flips a switch in your brain, and something that was broken gets healed. I used to go to a writing group that was held in a wine bar that always had music playing in the background. Every week I thought, We’ve got to find a quieter place to meet. It wore me out to concentrate over the music when others read their writing, and even worse, I was expected to do on-the-spot writing exercises. I couldn’t hear myself think. We met every Tuesday. And every Tuesday I thought, This is hopeless. And then one week, everything changed. A few days after finishing a round of ALA, I sat down at the group, ready to struggle with my writing exercise, but it was surprisingly easy. I wrote a witty little essay effortlessly. And when people started to read, I could relax. I didn’t have to strain to hear their words. 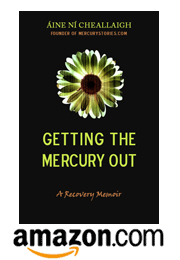 It felt like magic, but it was just healthy brain function being restored, normalcy returning because the mercury was gone. I had many incidents like this throughout chelation, when things I thought were “just the way I am” shifted. Impairments that I thought were permanent got better in these surprising moments. It was one of my favorite things about chelation, unexpected moments of grace that made me grateful to be living through this amazing experience of healing. I love reading about your experiences before and after AC chelation. It really helps me understand what my son is going through as we chelate. Thank you for sharing your story! I look forward to reading more!